So glad to have met this awesome couple. They were super flexible when it came to how crazy the island was during the Merry Shrimpmas Festival. The first location they wanted to shoot at was unavailable... but they found a perfect, private spot filled with beautiful live oaks. I'm totally gonna make it my new go-to place. I also fell in love with her engagement ring story. Read on! My father passed away almost three years ago before Tyler and I started dating. The diamond in my ring is from a pendant that my Dad gave my Mom several years ago. The necklace had three diamonds symbolizing the past, present, and future and my mom passed on the "future" diamond to Tyler to give to me. Even though Tyler and my Dad never got to meet, I feel like I have his blessing in my ring! I was absolutely blown away. We both grew up visiting Jekyll Island and my Gram lives on the island full time now. We went down to visit her one afternoon and she texted me that she was walking the dog on Driftwood Beach and to meet her out there. She came walking up followed by my Mom and Aunt as soon as I got, "Why are y'all here?" out of my mouth I realized what was happening. He got down on a knee and told me I make him the happiest man alive. I didn't even let him finish before I said "Of course I'll marry you!!" 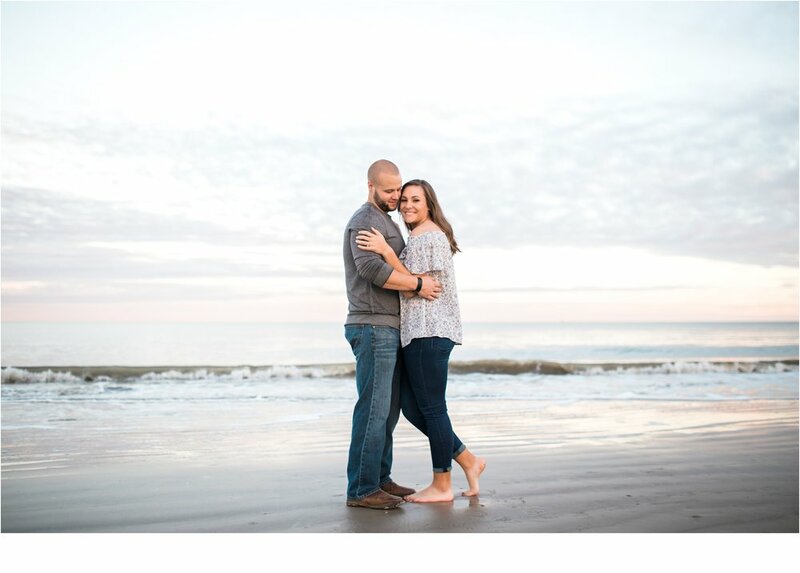 It was so special to get engaged on our favorite beach where we both grew up playing and making memories. Now we have a new memory there together! Wishing you all the love and joy in the world, Kelsey + Tyler!